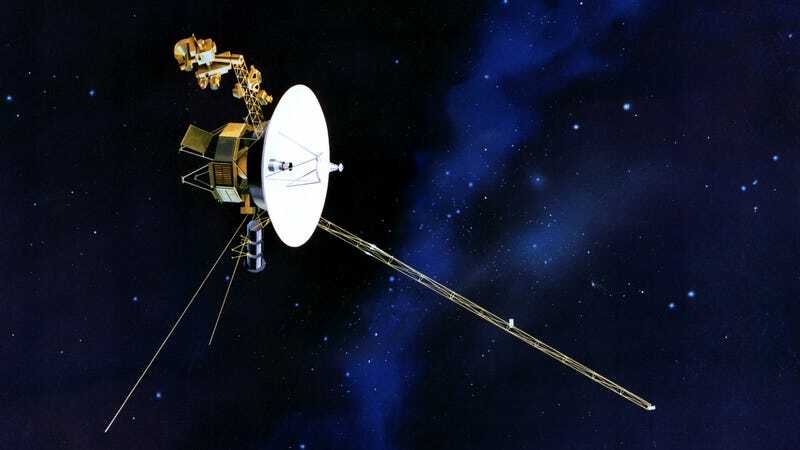 On August 20th, 1977, NASA launched its Voyager 2 spacecraft from Cape Canaveral, Florida. It followed up with the launch of Voyager 1 just a few weeks later on September 5th. Over the course of their careers, both spacecraft have explored gas giants and their moons, the Kuiper Belt and more, constantly pushing the boundaries of what science and humanity are capable of. Voyager 1 and 2 both carry a special trinket known as The Golden Record. The 12-inch, gold-plated copper phonograph records contains a variety of sounds and music selected by astronomer Carl Sagan and his colleagues. The Golden Record was intended to serve as a greeting for any alien life forms who found it—an encapsulation of the human experience through sound. While it’s extremely unlikely that any intelligent life would stumble across a record hurtling through our random corner of space—or have the equipment to play it—it’s comforting that a piece of humanity is pressing on, somewhere out there in the void. In honor of the 40th anniversary of both Voyager missions, we asked astronomers and space-savvy musicians to tell us what music they’d send if NASA hypothetically launched another Golden Record. Some have proposed that NASA beam out a digital “Golden Record 2.0" that would be beamed out to the New Horizons spacecraft in 2020, so it’s not that unrealistic to start thinking up ideas. Songs: “Here comes the sun” by The Beatles. Sagan pushed for this to be included on the first [Golden Record] but EMI held the copyright and refused. It’s time to set things right again. Sounds: The most self-promotional suggestion possible: my own sonification of the TRAPPIST-1 planetary system, which shows the connections between orbital dynamics (which aliens are surly pros at) and the music contained on the record. I’d be especially interested in some feedback from the music critics from TRAPPIST-1 but I may not be around long enough to receive it. Also, the gravitational waves emitted by merging black holes, converted into sound. I’d imagine that aliens find black holes just as fascinating as we do so let’s let them know we’re hip to the good stuff. As a NASA mission, it’s understandable that musical selections from the Western classical tradition and the United States were given preference. In a 2017 redo, though, we should be more globally inclusive. Rather than trying to get copyright permission for including “Sgt. Pepper’s Lonely Hearts Club Band,” a request the Beatles turned down in the 1970s, we should focus on representing cultures not included in the first Golden record. After all, the Beatles have already been sent into space, thanks to NASA’s 2008 transmission of “Across the Universe” to Polaris, the North Star, to celebrate the agency’s 50th anniversary.